SPW035658 SCOTLAND (1931). 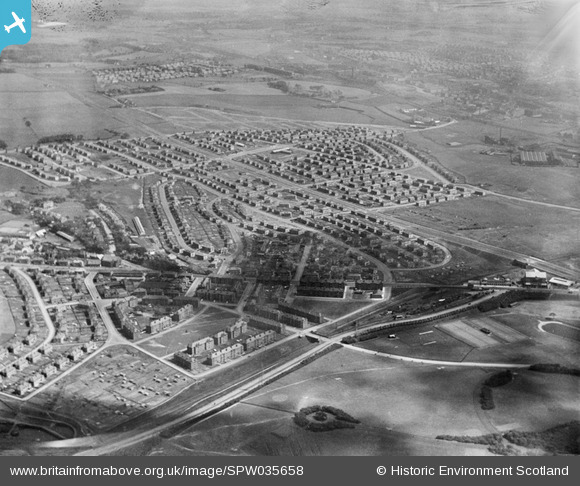 Carntyne Housing Estate and Alexandra Park, Glasgow. An oblique aerial photograph taken facing east. Title [SPW035658] Carntyne Housing Estate and Alexandra Park, Glasgow. An oblique aerial photograph taken facing east. Saint Thomas the Apostle Chapel. Alexandra Park Pond and Paddling Pool. Carntyne Square at Edinburgh Rd. Temporary Wooden Shop Edinburgh Rd.